I pray for Chris who is reaching out to know Christ. May Jesus transform his heart and that of his family. For peace, love, happiness, healings of mind, body and spirit in his life; and success in his search for a job and help with his finance problems. 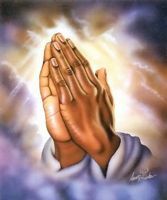 In Jesus name i pray. I love you Jesus. I trust you Jesus.